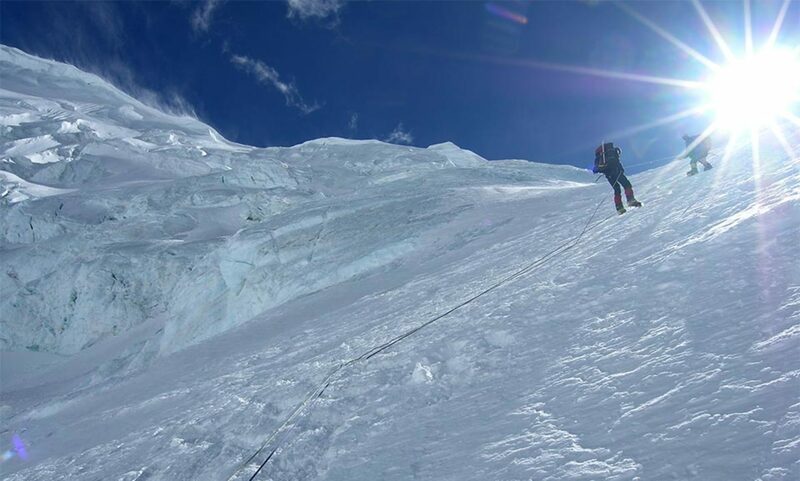 As all mountaineers will likely agree, one of the greatest joys of a major expedition is the effort associated with the anticipation and coordination that starts many months in advance of the actual climb. Before I could begin the fun of planning my Mawenzi expedition, I needed a climbing partner. The chosen one needed to be someone that could handle getting cold, getting lost, getting tired, getting turned around, getting shot down, and getting back up again. I wanted someone that no matter how high the obstacles or how low the moods, I could be assured we would return home the best of friends. While mountains have always provided me with a great way to escape and be in complete solitude, I have found that the real joy comes from sharing the experience. I never found joy in receiving or in sending a “wish you were here” postcard. The pretty cardboard picture with room to write three sentences, always paled in comparison to the actual experience. In looking back, I can openly admit that it took me all of 20 years and at least 10 major expeditions to become convinced that finding the right partner was the single most important step to having a rewarding experience. While it took a lifetime to bring me to that conclusion, it only took thirty seconds to identify the person with whom to share this experience. As I thought back to the many climbing partners of my past, my mind quickly ran through some of the defining and most epic past experiences. Who was it that greeted me at the top of every climb with a bar of chocolate? Who was there when I did my first rappel and got my pony tail caught in the belay device? Who talked me down the mountain when I did my first alpine day and did not have enough rubber on my soles, clothes in pack or gas in my tank to get back to the trailhead on my own? Who was tied into the other end of my rope and calmly handled a very dire situation of me needing to pee when we were hanging from ropes 150 feet off the ground? Who had the patience to stand at the base of one of the top 50 classic climbs in America while I made numerous failed attempts to even start the climb only to decide today was not my day? Well let me tell you, it was the same person that came over to my house every night for two months to help me find, pack and repack my gear to go climb the highest mountain in the world…..Tom Wilson. The question at the time was would he say yes? Where is this mountain named Mawenzi? Next to Kilimanjaro. Has it been climbed before? Yes but the records are a bit vague. Why do you want to do it? It is beautiful and I believe I will be the first woman to do the top five highest peaks of Africa which will make me the Queen of Africa (in my mind). How high is it? 16,000 feet and some change. What is the route you have in mind? I don’t have one in mind. It appears it is climbable from all sides. How hard is it reported to be? 5.4 – 5.6 as long as we do not get off route. Is there a route description? Not really. How many days will it take us to climb it? I don’t know but I am guessing we can do it in one long day. When was it last climbed? Officially over 30 years ago. Why has it been closed? It has been deemed too dangerous due to rock fall caused by years of snow melt. Will we have a guide? No. We are on our own. What will the temperatures be like? It is Africa. We will have very hot days and very cold days. It could have wind chills below zero on the summit. How will we get there? We will be part of my husband’s expedition going to climb Kilimanjaro. That team will have a rest day at our base camp. During their rest day, we will climb. If we feel good the next day, we can follow the team up Kilimanjaro. If we get to the top, how do we get back down? We rappel. He must have liked my answers because within a few days Tom sent in his deposit. By golly we had a mountain to climb. The mountains teach us life lessons. Follow our stories as we take you on some of our best journeys. We believe that people who play together, stay together. This is evident in marriages, friendships, families and business teams. We have dedicated this site to insightful stories and information to help build strong and lasting relationships.